RiverCam will reload in seconds. 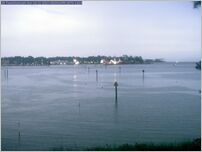 RiverCam takes a new picture of the Neuse River every ten minutes from dawn til just before dusk. After many years RiverCam has failed. A repaired cam (and a new clearer view) coming in January 2018. 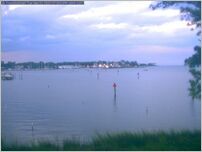 Neuse River Marine Weather. River Cam currently takes photos from 6:30am to 7:20pm. After dusk the site stores the last photo taken of the day until the next morning.